We feature a quality selection of fashionable eyeglasses and premium lenses. Serving the St. Marys area, our office is conveniently located at151 Queen Street, so it’s easy to stop by and benefit from our exceptional vision products. 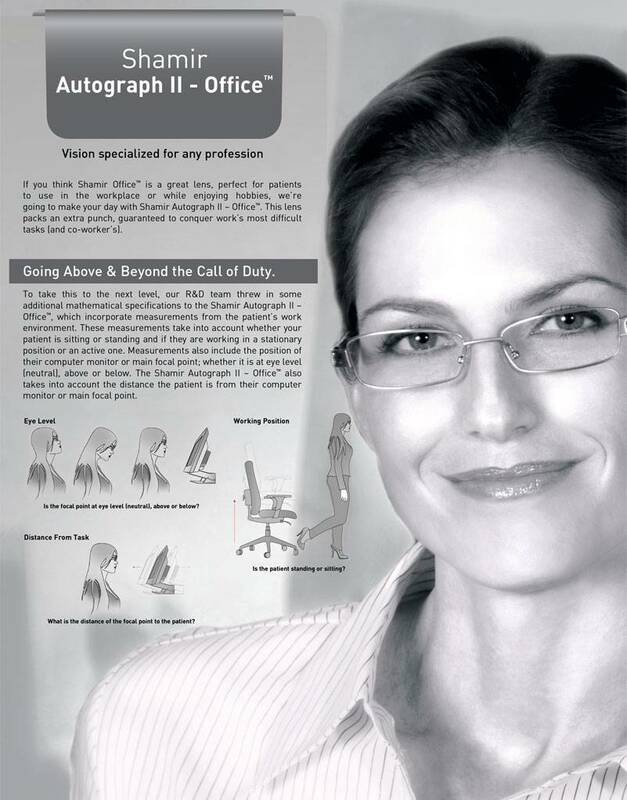 We sell top of the line progressive lenses and have products to meet your every need. We want you to have the best vision possible...think we are fooling you? We wear the lenses we sell! All patients, new and returning, are treated with patience and no pressure to reach a hasty decision. Superior customer service is our goal, and we want you to be thrilled with your eyewear and your experience in our St. Marys office! Varilux Comfort® gives you excellent near, intermediate, distance and peripheral vision, all without compromising the visual quality of any single zone. They’re easy to wear, and the smooth transition between visual zones makes it easy to adapt to these lenses. For more information, please visit www.varilux.com. 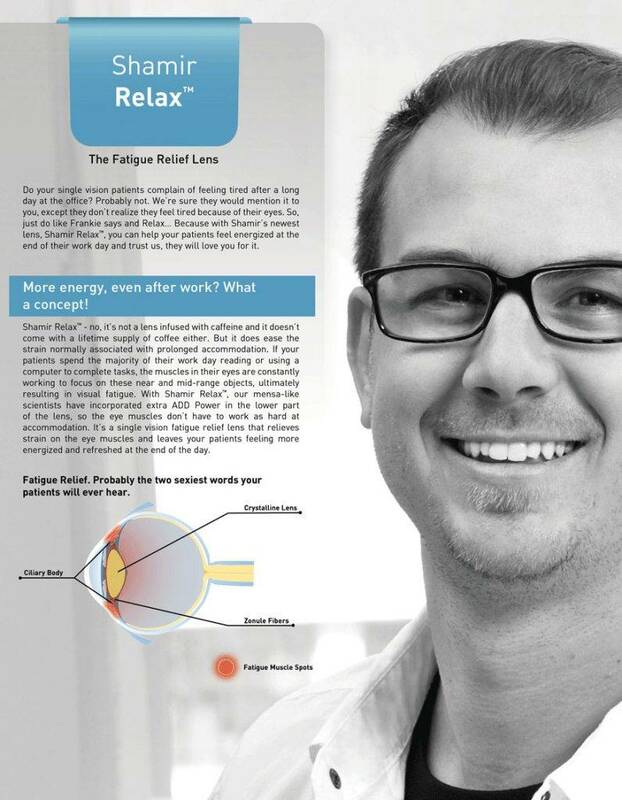 Varilux E is one of the top-selling progressive lenses. Eyezen lenses are one of the top-selling single vision lenses. 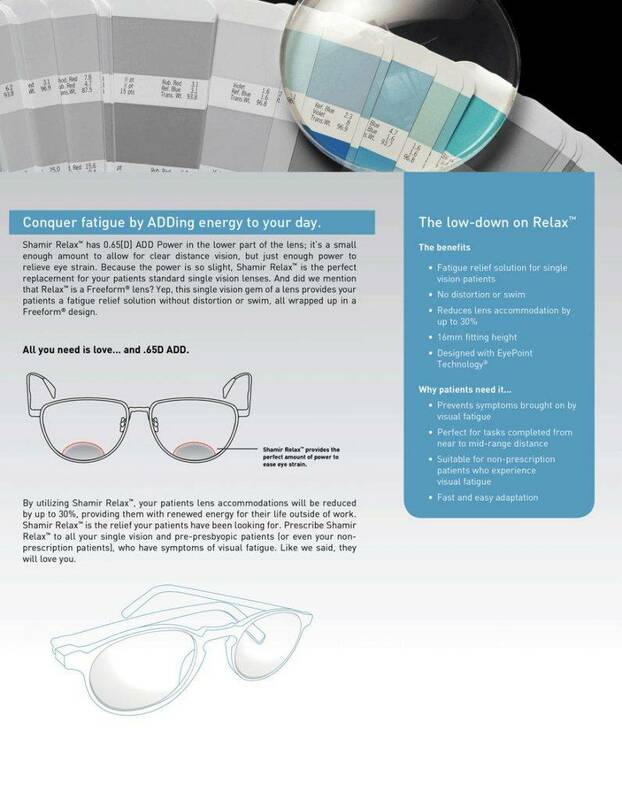 Designed for the way you see the world, taking care of your eyes from the harshness of modern life. 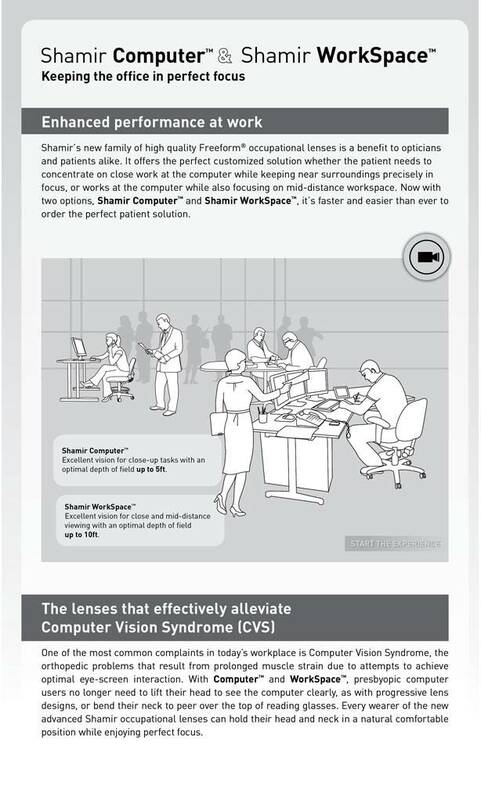 They reduce strain from viewing digital devices so you can focus on what matters to you. It’s a real see good, feel good story. With Crizal® lenses, spectacle wearers enjoy a complete protection of their clarity of vision and their eyes. Crizal® lenses provide protection against glare, scratches, smudges, dust, water and contribute to preventing the harmful effects of UV rays and Blue-Violet Light**. 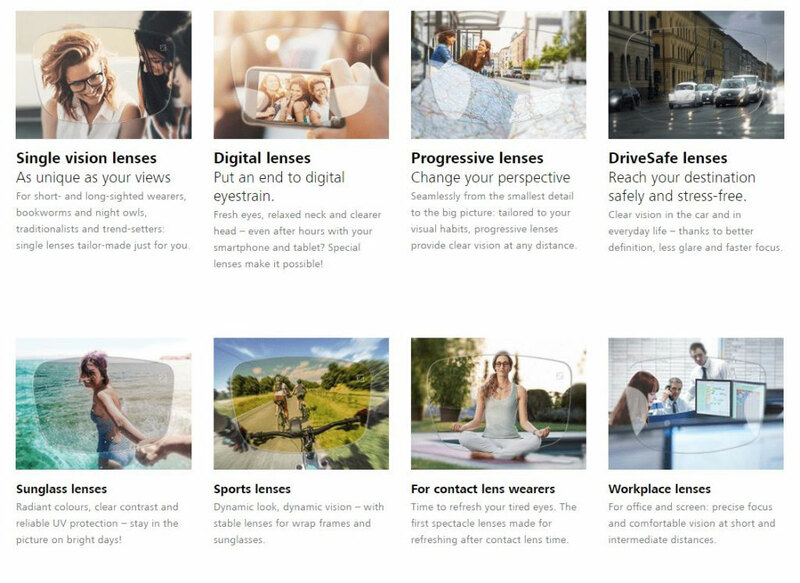 Read about all of Shamir's Lenses here.